Panasonic's Lumix FX75 is a powerful 14-Megapixel digicam, featuring a Leica 5x optical zoom lens, Power O.I.S., 720p HD video Recording and a 3.0-inch Touch LCD screen. With excellent performance and good image quality it is definitely worth a look for $299.95. Read more in our Full Conclusion. The Panasonic Lumix DMC-FX75 is a powerful compact digicam featuring a new Leica DC VARIO-SUMMICRON F2.2 lens with a 5x zoom range. It provides 170% more light than a standard F2.8 lens, allowing for higher quality images in low-light shooting situations. Also built into the FX75 is a 3.0-inch intelligent touchscreen LCD, Power O.I.S, Evolving iAuto (intelligent auto), Sonic Speed AF and 720p HD video capture with a separate video recording button that keeps the camera always ready to record. The 3.0-inch LCD display has 230,000 dots of resolution, while the touchscreen keeps all of your camera options easily accessible. The touchscreen system also allows you to touch any spot on the LCD to not only focus from, but also to capture the image without pressing the shutter release. 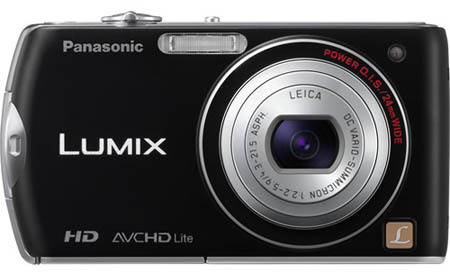 The Panasonic Lumix DMC-FX75 is now with a MSRP of US $299.95.